Digital banking’s becoming a serious sector for investors to sink their teeth into. Indeed, Revolut passed a $1bn valuation earlier this year and now rival challenger bank Monzo’s joining them in the unicorn club. Following a $85m round led by growth-stage VCs Accel and General Catalyst, Monzo has received a valuation of $1.3bn from its backers, which includes Passion Capital and Orange Digital Ventures. The fintech scaleup plans to use the money to double its workforce to roughly 900 employees Monzo’s CEO and founder Tom Blomfield told Reuters. And it’s clear the company may need it as it already has 1.1 million accounts with about 100,000 new ones opening each month. Monzo becoming the latest UK scaleup to earn a unicorn status certainly speaks volumes about Britain’s impressive fintech sector. Mike Ashley, founder of Sports Direct, bought House of Fraser in August 2018 after it entered administration. Now, he’s signed a new rescue deal. Ashley is set to purchase Evans Cycles, the cycle retailer, after it called advisers from PwC, the accountancy firm, for an autopsy of its lacklustre profits. Thanks to cold weather at 2018’s start keeping shoppers at bay and limited funds to invest in stores and online, Evans Cycles went into administration and called for a rescue deal. While Ashely has now come to the rescue, it’s tantamount to half a Pyrrhic victory with him announcing the closure of half Evans Cycles’ 62 stores and the axing of hundreds of jobs. It’s another chapter in the retail apocalypse, where an increasing number of high street stores are facing closures. Autonomous driving had a shaky start to 2018 after one of Uber’s self-driving cars killed a pedestrian. But now it seems to be steaming ahead with Lyft, the transport company, acquiring Blue Vision Labs, the UK startup. 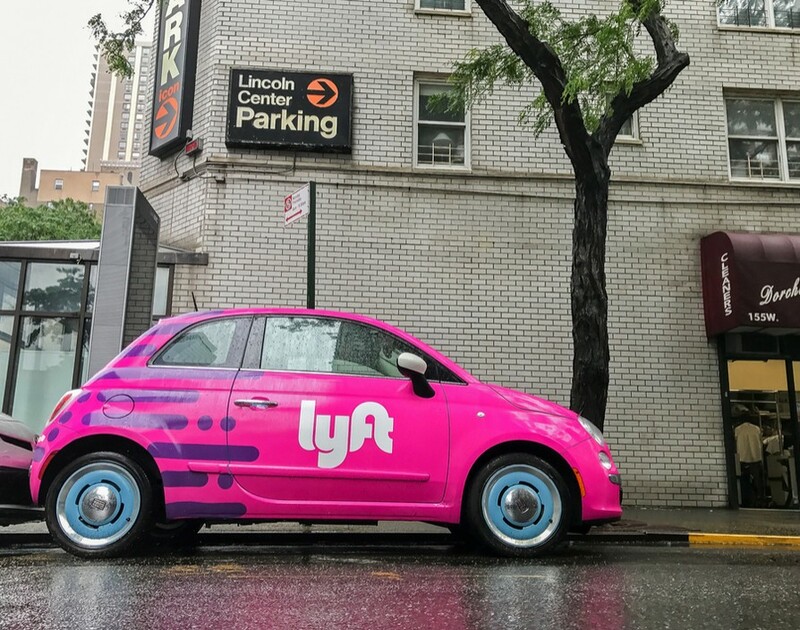 Lyft reportedly paid $72m with a chance for a $30m boost should the business pass certain milestones for the startup, according to TechCrunch. This marks Lyft's first acquisition to expand its autonomous division, which launched in July 2017. While Blue Vision Labs officially stepped into the public light in March 2018, it has already tallied a $2.5m seed round and $14.5m a series A round. Its tech enables smartphones to map the streets the cars drive in. With this deal and massive rounds being raised by companies like FiveAI and Pony.ai, British businesses are clearly doing their part to make self-driving cars a reality. There are endless reasons why businesses worry over Brexit. However, it turns out many aren’t bothering to prepare for it. Polling attendees at the Brexit Business event, Nucleus Commercial Finance, the funding solutions firm, revealed 56% haven’t planned for how Brexit will affect their companies. It may correlate to the fact 68% believe a UK-EU trade deal won’t be reached by the March 2019 deadline. Despite the unpreparedness, 68% fear they’ll lose customers after the departure and 28% are anxious about currency risk and another 28% are concerned about compliance. It’s surprising the latter isn’t a bigger concern, considering 55% have already been negatively hit by currency fluctuations over Brexit uncertainties. Given Brexit fears are real yet plans haven’t been made by nearly half of respondents, businesses may just be in denial. What exactly do politicians like David Cameron do for a living once leaving public office? It turns out they take up some rather interesting jobs as we discovered. After a late night burning the midnight oil and failing to find a quick way to replenish her contact lens supply, Ashleigh Hinde launched Waldo, the contact lens delivery startup. Now, she’s gained £5.7m of investments and international clout in just 12 months. It’s clear even more is in store for this growing business. Some companies went all-out this Halloween in their marketing campaigns to attract customers. Not only have we collected some of the best ones for you to draw inspiration from but we’ve also found out how you can use your brains to get the most out of your own marketing campaigns. In what could tarnish Google’s image, staff worldwide striked in droves over sexual harassment claims within the company. With the #MeToo movement alive and kicking, here’s how entrepreneurs can avoid similar fates. While Italian philosopher Niccolò Machiavelli famously claimed it’s better to be feared than loved, scaring your employees may not always be such a great idea. So we’ve asked for advice on how you can avoid terrifying your staff and still get the results you need. Is Britain’s prophesied export prowess a bunch of nonsense? Trade secretary Liam Fox is always preaching about Britain’s destiny to become an exporting superpower post-Brexit. But is this the real life or just fantasy? Siddharth Shankar has the answers.